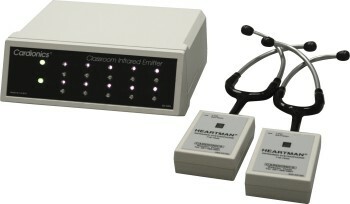 For the non-invasive cardiological diagnostics with an integrated, tiltable ergometer for all appropriate examinations in the cardiac lab. 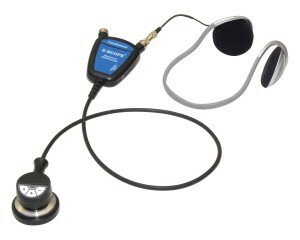 It offers the use for a variety of applications. 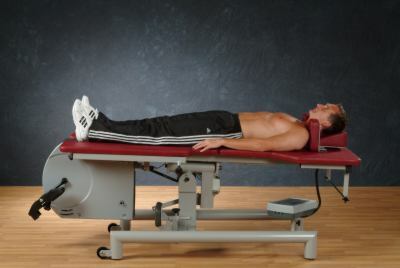 The bed may be tilted or swung in 3 planes in order to meet the requirements of all conventional Ultrasound examinations. Tilting and swinging is being accomplished continously through a remote control by means of electrically controlled motors. 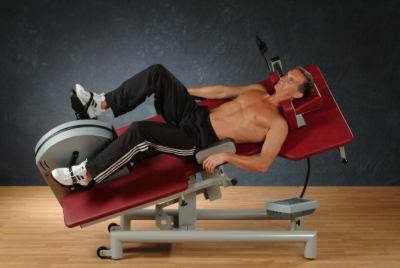 Through the swinging of the ergometer a special cardiac bed for mechanical stress echocardiography may be achieved. 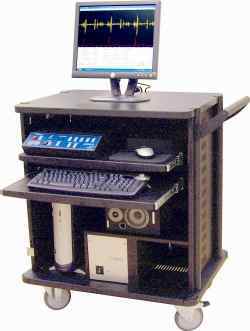 The integrated supine ergometer works with a software controlled braking system in order to control patient load as optimal as possible. 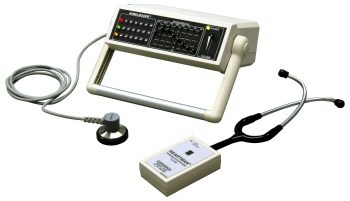 for catheter type examinations under load. 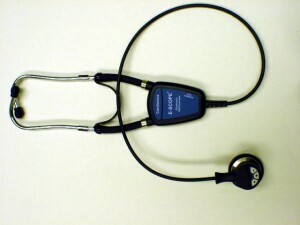 The system comprehends 33 heart-sound-programs. 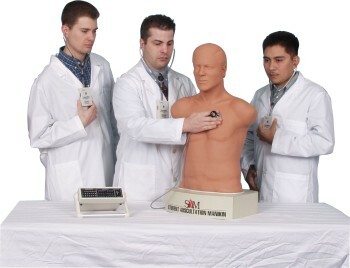 The duration of the auscultation program is 3 1/2 hours, recording and reproduction of real patients' registations, 26 lung auscultation programs for a maximum of 200 auditors. 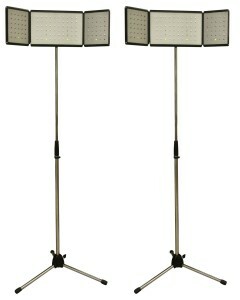 bedside infrared system for the transmission in an auditorium or teaching-room. 20 different sounds and murmurs sounds heard at 4 anatomically correct sites. In addition further programs can be offered as a result of a co-operation with leading cardiological centers in the United States. 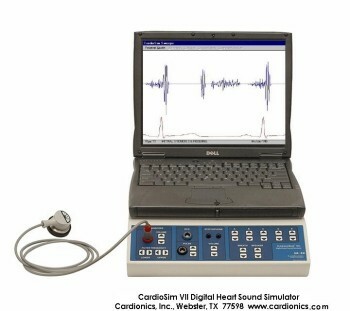 Educational and teaching programs for echocardiography and the heart-catheter-workstation.